If you are a regular follower of our monthly Word Ponder, you’ll have innately grasped from July how meditation is truly an act of uniting in intuition, allowing you to enjoy the affirmations that you have plenty to celebrate in the realms of concentration during August. So now we wonder as we think about where to ponder next, perhaps you just might already be one of those people that deeply understand –as you now maintain your peace of mind- that you may be experiencing the realms of CONSCIOUSNESS as you become more aligned within our higher planes of existence. Consciousness is defined as: “the state of being awake and aware of what is going on around you; the part of the human mind that is aware of feelings, thoughts, and surroundings.” We decided to ponder this word because the very question, what’s really in a word? will clarify that indeed, the energy within and surrounding us of what it takes to perceive consciousness can reward us in a multitude of ways. If you acknowledge when you are experiencing meditation, allowing the space of concentration, there is something rather “cosmic” that begins to enter your consciousness. As the wonders, mysteries and changes of everyday life come to you in your now, what happens when you find yourself understanding this concept of consciousness? To recognize how meditation is a path that only assists in developing our concentration, we see the end result allow a deepening of our spiritual experiences, as our understanding of consciousness opens further. Most modern day spiritual leaders in our new age world openly discuss their perspective on deepening the awareness of consciousness. Aside from what exploration continues within spiritual communities- more and more people are unveiling the benefits of connecting their physical and astral worlds. Equally, it is interesting to discover how Chaldean Numerology and Lexigrams view consciousness. What does it take to know you are experiencing consciousness? It takes a rhythm that is attuned to a vibration. Every sound we utter contains an unseen channel of energy, and thus, when we speak our names and engage within the action of our words, there is an underlying current, this guided force that connects that vibration into it’s own individual expression. When we examine the Name Expression of CONSCIOUSNESS -which is the numerological energy that is always behind it through the values of the letters that compose it- we find it has, as numbers always will provide, the very key points to know what exactly to do within the action of it. One should not be surprised it is guided by the Chaldean’s understanding of the 54, which is one of the compound numbers they considered to be extremely associated with universal concepts and accumulation of energy. Adding 5 + 4 together, we find the 9, whose singular energy is ruled by pioneering Mars- who governs over our courage, aggressive action, conflict, and conclusions in life. Ask anyone who knows they have experienced the realms of consciousness, and they will probably share with you that with courage, they have a stronger realization of the universe as a whole, bringing their beliefs to a higher state of awareness. Being there is no Chaldean Karmic Mystery associated with the 54, this number simply reduces to the singular 9, carrying plenty of karmic and universal energy along with it. When we take the 5 and 4 -and look at them individually- there is even more numerological evidence why this particular word carries this vibration. As Mercury guides the 5, we find the channel of movement, versatility, communications, and ability to reach the masses within information across the board. Coupled with the 4, guided by Uranus, and we find the focus of humanity being guided by the channel of originality, brotherhood and sisterhood, individualism and breakthroughs. Both Mercury and Uranus in this combination bring within consciousness the ability to receive the messages that the masses are all one, but each make up a different and unique part of the whole. As we engage in recognizing the rewards within our awareness of consciousness, another point to note is what the singular 9’s guidance does here for anyone through the motivation of Mars. 9 is known as The Finalizer, in where conclusions and endings mark the actions that this number brings. 9 is the energy that never alters the outcome when it is added to anything, it only makes more and intensifies what already is. Par eg: 9 + 4 = 13, 1 +3 =4; 9 + 6 = 15, 1 + 5 =6. This is why the 9 is known as the universal number, and another remarkable point to note is how it is equally is the root of the sum of all the singular digits that precede it. Adding 1 + 2 + 3 + 4 + 5 + 6 + 7 + 8 = 36, we arrive right back the root of 3 + 6 = 9. Within consciousness, we are meant to see all of life as universal energy as we unite both our physical and astral planes of existence. The mysteries of Lexigrams have more evidence to support the meaning within CONSCIOUSNESS, and what it is simply able to do for any of us. By taking the anagrams we can derive from this word, and spiral them into poetic phrases, the Lexigram process brings one more piece of the puzzle to place into our mastery of life about what’s really hiding within it in truth. The reality that relates to how to best reap the rewards this word wishes for us all to assimilate into our human experiences, is as always, ready to be spelled out from the very letters that compose it. What other ways do you see you can spell out the truth from CONSCIOUSNESS? Those who were so loyally standing behind California Chrome to become the 12th horse in history to ever claim the Triple Crown title, were sadly disappointed as Saturday’s Belmont Stakes came to a close. While it was more than poised that the answer would be yes to the question of California Chrome: Can He Claim a Miracle Mile?, it was clearly stated here that we all had to watch the current astrological transit of Mercury Retrograde. This is a powerful affect from above that when it is in action, it changes up what we expect down here below, as this cycle is notorious for causing upsets to any well-intended plan or expectation. Mercury had just started Retrograding 7:58amEDT 07 June, and was on what is known as the station. The “backwards dance” of this inner planet that affects all associations with movement, communications and traveling in life started at the 03 degree of the Sun Sign Cancer, and when on the station, Mercury is barely moving at all- causing complete upset and rerouting of plans. The true “MRx glitch” that took away California Chrome’s Triple Crown title was the very starting gate incident with number 3 horse Matterhorn, who “clipped” him at the very beginning of the race on the front right hoof. You see now how Mercury Retrograde works. This is precisely what we were talking about, the errors and upsets that happen under this cycle to “spoil” the best well-intended plans. We never “liked” that #2 starting gate position he wound up with. A 3, 6 or 9 position would have been a totally different race, naturally- with how California Chrome’s numerological guidance reads across the board. But, all of what was previously written in regards to how astrology, numerology and lexigrams view California Chrome still stands. What a rare miracle racer he still is. He has undeniably become a horse seen in a fine fame. Had he not been clipped at the starting gate on Saturday, it may have very well been a different finish line at Belmont. Looking to the victor of 2014’s Belmont Stakes, Tonalist is the other Aquarius horse that was being watched, foaled 11 February 2011. Well-rested and not ran in the Kentucky Derby nor Preakness due to an illness, here was the energy awaiting (upon the Mercury Retrograde movement changes surrounding California Chrome’s glitch via Matterhorn at the starting gate) to break on through. We would have to agree with California Chrome’s owner that it certainly does seem “unfair” that if a horse is to claim the Triple Crown, each horse should be ran in all three races. Showing up at the last race doesn’t make all that much sense. When you look to the horses that have taken the victory away of the Triple Crown from the 12 horses poised to win it in the past 36 years: the majority of those Belmont Stakes victories have been horses that also did not run in the Derby or the Preakness. Our forecasting call for the future: This Mercury Retrograde transit will start a reworking and rethinking of what is really fair when it comes to the rules of being a participant in the Triple Crown horse races in America. This cycle is well known to “iron out the kinks” and reroute anything involving movement, communications and thinking across the board. The Triple Crown victory 2014 in our minds will always go to California Chrome. Again what a rare miracle racer to even finish 4th after what occurred at the beginning of the race. As the 13th horse in the past 36 years to attempt to claim the title, may the 13’s ‘Regeneration – Change’ energy here reinvent the Triple Crown playing field for the future. With the Belmont Stakes being “The Test of the Champion,” Chrome absolutely still passed the test with flying colors in all of our hearts. 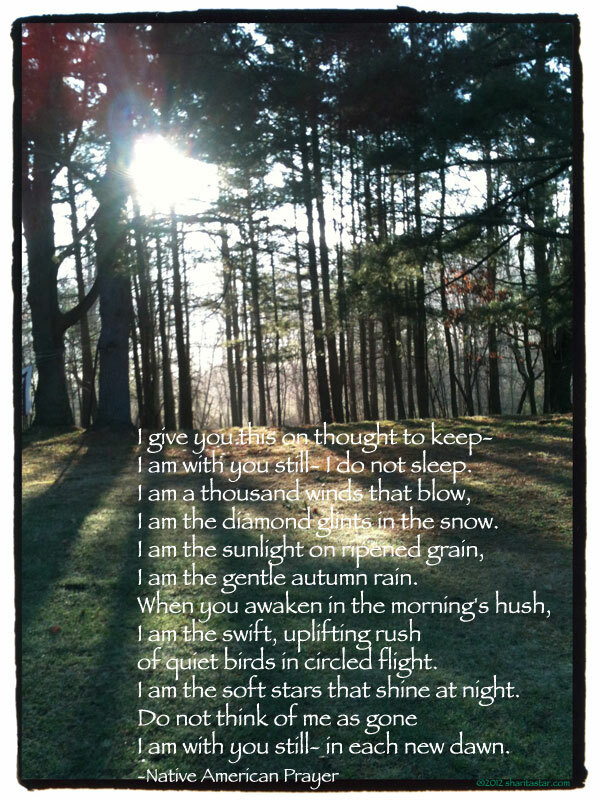 Brightest Blessings & Gratitude in the LOVE to EVOLVE Dear Maya on your continued JOURNEY to ENJOY YOUR JOY in Spirit. If you are a regular follower of our monthly Word Ponder, you’ll have innately grasped from September how to begin to utilize manifestation within your life and tap into the wonders of how the “real deal” law of creation does this over October. By now, you may have already started to deeply understand that you are opening up your ability to see that it is your emotional state of being that is the key component to understand what it is you precisely are creating. If you haven’t heard about the wonders of what has become one of the most amazing self-help tools to assist us in freeing up or feelings so we can create our soul’s wonders, it’s time to introduce you to the EMOTIONAL FREEDOM TECHNIQUE. Well-known now as another phenomena of sorts, this is a self-help method for assisting any willing soul to clear out and address emotional situations from the past that are blocking the present source to be able to optimally create in the now. It involves taking these emotional recognitions, saying them aloud, while then proceeding to tap on a series of meridian points over the body. With our mental acceptance to the truth of what has made us hurt -and then physically pinpointing energy trigger points- there is a pure release that is witnessed, and in turn, opens up an entire world of healing, and self-love. When we examine the Name Expression of the EMOTIONAL FREEDOM TECHNIQUE -which is the numerological energy that is always behind it through the values of the letters that compose it- we find it has, as numbers always will provide, the very key points to know what to exactly do within the action of it. One should not be surprised it is guided by the 17’s The Star of the Magi’s Chaldean Karmic Mystery, for this very number says asks for the self to be in the silent spiritual listen in order to begin to receive the riches of the eternal connections it promises to bring. There is definitely something karmic going on here with our law of attraction theme, and all we can bring to your awareness of how to better understand it. Remember, back in August when ‘The Law of Attraction’ also carried the same Name Expression of the 17? Don’t you just smile to know that once more we are engaged in pondering words that are going to help bring us love and peace? We saw in September and October, how manifestation and the law of creation, both tick to the Name Expression of the 13, the very actions that focus us upon what needs to unravel through the 13’s meaning of Regeneration – Change. Now in order to be able to manifest and then create the pure originality that the 13 promises will happen within these actions, we come back to the 17, the calling for some soul work once more to be able to have that clean canvas to be able to ultimately pour out our breakthroughs upon. It is a whole topic for another day, but the 4 and 8 vibrations are always intertwined in a myriad of karmic understanding, and as our recent months of pondering have linked up, it’s no coincidence how much the 4 and 8 are here to get our law of attraction knowing in fine shape. When we understand that it is the emotional roots of our soul that truly are the source of all that we feel in order to be able to manifest and create within our life, and if this source is not feeling optimal, it is only natural for us to then believe that the law of attraction doesn’t work at all. And of course we will be absolutely right, it won’t. There is no human being in existence on this planet that creates anything extraordinary without positively feeling that creation first, from the very core of that soul. If we are following our feelings in a negative pattern of emotional scars, there is no other direct outcome but to experience more of the very same. We can say and proclaim many things in our lives, but if we do not honestly feel them -allowing us to then believe they are be true- it is a universal law that we will never attain what any of them are. Many of us, due to the genuine human experiences we came here to assimilate into our spirit, have been the victims of negative feelings. Depending upon their severity, these can be so implanted in our core that we may not even recognize why we are getting what we are getting in our lives. Our most critical emotional developing period in our lives is from 0 to 7 years of age. Sometimes, we can already be the mature adult and be harboring experiences that occurred in our past that are so imbedded into our soul’s beliefs, we exist by default and never even realize what it is we truly need to heal. Whenever we find the 17 around there is self-healing to be done first so that the rewards of the soul can be experienced. When we are practicing the Emotional Freedom Technique, the realms of the 17 are with us, as we tap away our old pains and lower the blockages, and lift ourselves to a lighter place that then can let in the real feelings that are meant to serve our higher self. Here we see the 1 (self) in the pairing of 7 (healing, spirituality, sharpening the inner saw) to outcome the singular expression of the 8, (wisdom, learning from experience, patience) which promises the work we do here, will reward us in not only eternal, but in very stabilizing ways. One more note about the singular 8. This number is the one that connects us to the diligence that we are meant to adhere to be able to receive whatever rewards are coming to us from what we have previously sown. When engaged in such an act as clearing out old, non-serving emotional beliefs, as the EMOTION FREEDOM TECHNIQUE does, it is true responsible work we are doing, which is one of Saturn’s –the planet that guides over the 8- absolutely most favored thing to do. This planet also innately understands self-reliance in the life, and EFT (as is called under it’s abbreviation), is something that we can do for ourselves so we can always be in the state of self-reliance in any of our magnificent creations once our emotional bank account is healed. The mysteries of Lexigrams have more evidence to support what the true meaning of EMOTIONAL FREEDOM TECHNIQUE is when we understand it properly. By taking the very anagrams we can derive from it, and spiral them into poetic phrases, the Lexigram process brings one more piece of the puzzle to place into our mastery of life about what’s really hiding within these words in truth. The reality that relates to how to best reap the rewards this gift of words wishes for us all to master in our human experiences, is as always, ready to be spelled out from the very letters that compose it. 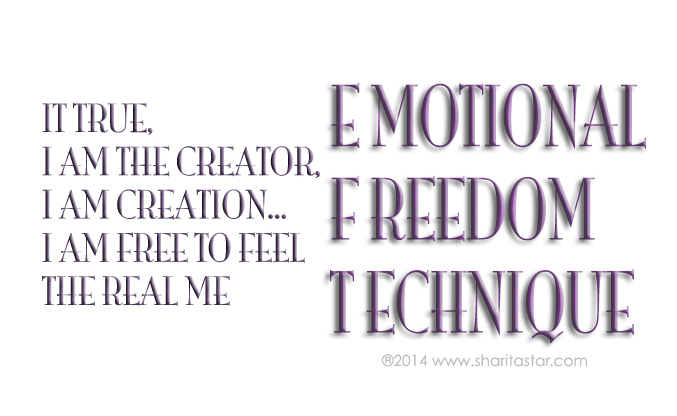 IT TRUE… I AM THE CREATOR, I AM CREATION… I AM FREE… I AM FREE TO FEEL THE REAL ME. Happy Clearing & Tapping Dear Stars. Did You Know? EFT and the Law of Creation self help tools work differently for any soul, depending upon your natal star guidance. Are you creating the life of abundance you came here to receive? See our Creating Your Soul Power Reading under services.